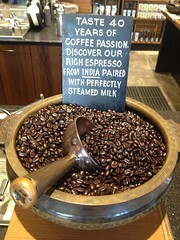 Attention coffee connoisseurs! Who agrees that in life there's nothing more satisfying than a decent cup of coffee in the morning, the afternoon, or well, during any time of the day? Here at My Favourite Voucher Codes, we're proud to call ourselves caffeine addicts if it means getting to sample the finest blends of coffee – especially if we can grab a bargain or two in the process. Although travelling into town for a luxurious Starbucks or cup of Costa is by all means always appealing, sometimes so is staying at home wearing comfy pyjamas, watching trash TV with a hot cuppa Joe. While some people may be content sipping a mediocre cup of instant, we believe everybody should be able to have the opportunity to drink coffee to their own liking, whether that's out and about or at home. It's actually no easy task to achieve the perfect coffee blend, and like any art form, this takes time to master. Cafe baristas must undergo intensive coffee-making training for good reason. Everything from getting to grips with individual coffee blends, to grinding and brewing the beans, to frothing milk to the correct temperature and then pouring to serve all takes several attempts. After all, we doubt the general public of coffee lovers would be happy with say a cappuccino that has no foam, or an Americano that tastes too weak. It's all about becoming acquainted with the various types of coffees that are available at cafes, and then recreating these in your own kitchen. For those who are as passionate about their roasted blends as we are, as well as things like wall art, mugs, and the sipping experience, our Starbucks, CafePress and our Twinings Tea Shop voucher codes will all enable you to create your very own cafe... at home. If you're thinking this sounds too good to be true, it's not. Like anything in life, if you want something bad enough, you'll find a way to make it happen. You don't have to dedicate an entire room to create a unique cafe experience, but if you do have a little extra space in your home such as a breakfast bar in your kitchen, or even a garage that's collecting dust, there are plenty of ways you can transform these areas into home cafes. Just as some people like to make beer at home, others prefer to experiment with coffee machines and ingredients instead. Forget home breweries, home cafes are where its at! We're officially coming into Autumn tomorrow, so it's high time you're able to brew up and get your fix at home, for whenever those caffeine cravings kick in. With Starbucks, the world is your oyster. If milk frothing has always been something you're not so good at, you'll really love the Verismo electric milk frother as this little gem does the hard work for you! Our Starbucks promotional codes also allow you to buy your favourite store products like syrups, coffee beans and pods, as well as specialist gift items. If tea floats your boat as an alternative to coffee, or you like to drink a herbal tea to settle your stomach before bedtime, you'll find all sorts of unique tea flavours online using our Twinings Tea Shop voucher codes. Who ever said that teas have no variety was truly mistaken! One of the first companies to introduce tea, Twinings have been a long standing British tea company since the 1700s. And us Brits do love a nice brew in a time of crisis, right? With some exciting new offers available using our Twinings Tea Shop promo codes, now you can enjoy green teas, floral teas, fruity teas, and classic teas in their most blossoming glory. If you work from home, you might well find investing in some personalised coffee related artwork to be just the inspiration you need. Why not take advantage of our CafePress voucher codes and buy a few slogan mugs, magnets, or some canvas artwork to start your day off in style? Self-employment can be distracting, especially if you do most of your work in a busy home environment. So if you can divert your attention and be surrounded by inspirational messages, you'll be far more likely to have a productive work day. 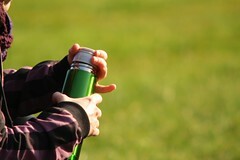 Or if you fancy a little walk in the park to clear your head, there are a wide selection of hot drink flasks you can buy with our CafePress discount codes which are insulated – ideal for drinking fragrant coffee or tea on the go.